AFL Indigenous Round is a celebration of our country's Indigenous culture and players that have shaped Australia's Game. A game that unites us all, players and fans, standing strong and proud for the past, present and future generations. NMFC.com.au looks back at a list of the Indigenous players to have represented the club. Debuted at the age of 20 and went on to play 52 games for North Melbourne over five seasons. Remembered as one of the most exciting footballers to watch of his generation, Johnson moved from West Adelaide to North Melbourne in 1965 and was popular with the Kangaroos’ fans. He played 31 games over four seasons with the club, and played in North's 1967 Reserves Grand Final. Johnson finished his career with Williamstown in the VFA. Formerly of Ainslie in the ACT, Bloomfield debuted as a 20-year-old in 1970 and played 11 games in his first season. He played just two more matches in 1971 to end his stint at North Melbourne. A champion rover, Cable’s impact was immediate with him winning the club best and fairest in his first year. He was a master of disposal, especially by hand. He returned home to Western Australia after that initial season to win his third Sandover Medal, before Ron Barassi lured him back to Arden Street. He played in both premierships (1975 and 1977) and finished fourth in two Brownlow Medals (1970, 76). He returned to coach the club from mid-season 1981 to 1984. Cable represented Western Australia 22 times throughout his career and was named in the 1966 and 1969 All-Australian teams. He was named in the Indigenous Team of the Century in 2005 as a rover and Coach. Originally from Swan Districts, Holden debuted at the age of 24 and big things were expected of the talented defender. He went on to play 29 games for North Melbourne over two seasons, but had more success after moving to Sydney in 1984, representing Australia twice in Gaelic matches and being chosen once in an All-Australian side. Holden was selected in the Swan Districts Team of the Century. After helping Claremont to the 1981 WAFL premiership, both Phil Krakouer and his brother Jim were recruited by North Melbourne. Noted for his freakish skills and speed, Krakouer went on to play 141 games and kick 224 goals for the Kangaroos, before ending his career at Footscray. He led the North Melbourne goal-kicking list on three occasions. Both Phil and brother Jim had the uncanny ability of being able to find each other in tough situations with the football. Like his brother, Jim Krakouer had an amazing sense around the goals and was blessed with natural brilliance. He worked hard on his game and became a reliable performer for the Kangaroos over his eight seasons at the club. 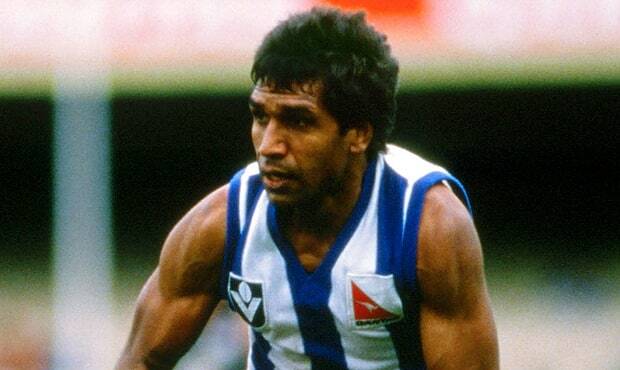 He was awarded the ultimate acknowledgement in 1986 when he won the North Melbourne best and fairest and was named in the Indigenous Team of the Century in 2005. Kickett attracted the attention of North Melbourne's scouts after a record 46 votes in the 1987 Sandover Medal for Claremont. He moved to Central Districts in 1988, before being drafted by North Melbourne with pick 60 in the National Draft. Kickett showed flashes of brilliance for the Kangaroos, but played just 12 games for the club. He went on to play another 140 games with both Essendon and Sydney and became well known for his exceptional skills and ability to turn a match. The younger brother of Phil and Jim Krakouer, Andrew showed all the traits of his older brothers on debut in 1989. He picked up 15 possessions in two quarters to have the football world talking, but played just seven more games for the club. McAdam burst onto the scene after being recruited from the Northern Territory with pick 98 in the 1992 National Draft. He had an amazing first season in which he finished the year with 68 goals from 17 games, and set a record with 23 goals from his first three games. Despite his talents, McAdam only played for three seasons before his career was effectively over. He moved to Collingwood in 1996, but was unable to register a game. Originally from South Fremantle, Campbell was drafted by North Melbourne in 1992 with its second-round pick. The forward kicked 17 goals for the club over two seasons, and holds the prestigious honour of scoring a goal with his first touch in league football. Campbell went go on to play in a premiership for South Fremantle in 1997, and booted two goals in the match. Originally from Port Adelaide, Pickett played just one game in his debut season in 1997, but produced a superb season in 1998, playing all 25 matches and winning the Norwich Rising Star Award. He quickly became regarded as one of the toughest players in the league, with his attack on the ball ruthless. Pickett played mainly in defence in his early years at the club, but bagged 37 goals in 2001, and 40 goals in 2002 to show his ability at either end of the ground. He was traded to Port Adelaide for the 2003 season, and won the Norm Smith Medal for best afield in the 2004 Grand Final. He was also named on the interchange bench in the Indigenous Team of the Century. An early draft pick for Fremantle in 1994, Abraham was inconsistent for the Dockers over 38 games, and eventually traded to North Melbourne at the end of 1997. He became a solid forward for the Kangaroos, and was part of the club's 1999 premiership win. Abraham was known for his silky skills and goal-kicking knack, and took the Mark of the Year in 1998 for a high flying grab against Port Adelaide. In the opening round of 2001, he injured his knee and did not return to AFL ranks again. Formerly from East Fremantle, Dhurrkay was renowned for his kicking and looked set to be a long-term player after joining Fremantle in 1995. He played 51 games for the Dockers, before joining North Melbourne in 1999, where he excelled at times with his speed and silky skills. He played 21 times for the Kangaroos over two seasons, then retired in the middle of the 2000 season. 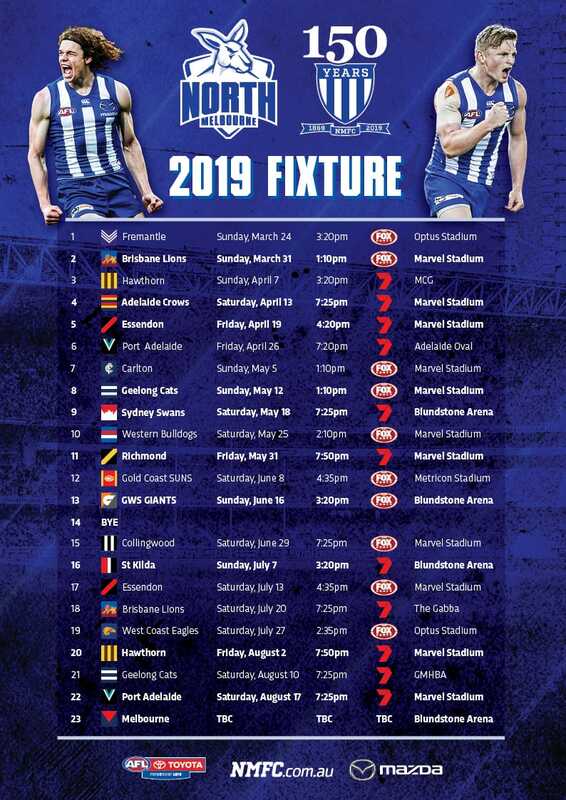 Recruited from North Adelaide, Motlop played primarily as a midfielder and small forward and was a key figure in North Melbourne's premiership win of 1999 in just his seventh game for the club, kicking two goals. After becoming a regular in the Kangaroos' team in the following two years, Motlop fell out of favour in 2002 and moved back to North Adelaide at the end of year. He was given a second chance in 2005 by Melbourne, and added another ten games to his tally over two seasons. North Melbourne's first pick in the 2000 National Draft, Daniel is the younger brother of premiership player Shannon Motlop and played 47 games for the club over five seasons. Despite being a handy goal-kicker for the Kangaroos, Motlop was traded at the end of the 2005 season to Port Adelaide where he went on to play 83 games and kick 155 goals. Debuted in 2004 at the age of 21 after being recruited from Central Districts in South Australia. Sansbury showed plenty of potential in his five seasons with the club, but was unable to hold down a regular spot in the North Melbourne team and was subsequently delisted at the end of 2008. Whyman was first rookie-listed by Hawthorn in 2002 but returned to country football. He then played for North Ballarat and after a strong season in 2006 was recruited by North Melbourne to its rookie list. After bags of five and four goals for the Kangaroos' affiliate, Whyman was promoted to the senior list and played three games before being delisted at the end of that year. Recruited from North Adelaide, Campbell was elevated from the rookie list towards the end of the 2007 season. The small forward played 13 games and kicked 10 goals in his debut year. Nicknamed ‘Flash’, Campbell excited fans with his blistering speed and ability to crumb goals but just as important was the defensive pressure he applied in the forward fifty. Campbell had his best season in 2008 when he and Lindsay Thomas become a formidable attacking combination. Perhaps the most memorable game of his career was when he booted five goals against the Hawks in 2011, including four in a brilliant final quarter. After eight games and six goals in 2012, he was delisted. Rookie-listed by North Melbourne in 2008, Garlett debuted the following season and quickly earnt a reputation as a more than capable ball-winner. Possessing a terrific knack to get the ball out quickly in a contested situation, he played 32 games in four seasons at the club. After being selected with pick two in the 2002 National Draft, Wells had a huge weight of expectation on his shoulders in the early part of his career but has been able to play a significant role through the midfield since his debut in 2003. Possessing an elite skill-level and plenty of flair, he received his finest accolade yet when he tied with Andrew Swallow for the 2011 Syd Barker Medal. Drafted with North Melbourne’s fourth-round pick (no.53) in the 2006 National Draft, Thomas was seen as one of the best pick-ups that year after his impressive first season in 2007. The former Port Adelaide Magpie burst onto the scene, kicking four goals in his first pre-season game for the Kangaroos and went on to play 12 games for the year. 2008 saw another strong season from the exciting small forward - combining with Matt Campbell, a new structure was brought to the North Melbourne forward line, as the pair booted 64 goals for the season. Only inaccuracy in front of goal stopped him from becoming a hugely damaging goal-kicker in 2011, when he booted 21 goals, 36 behinds. He turned the tables in 2012 and became a sharpshooter in front of goals with 38, and was an early leader in the Coleman Medal this year with a stunning start to this season.